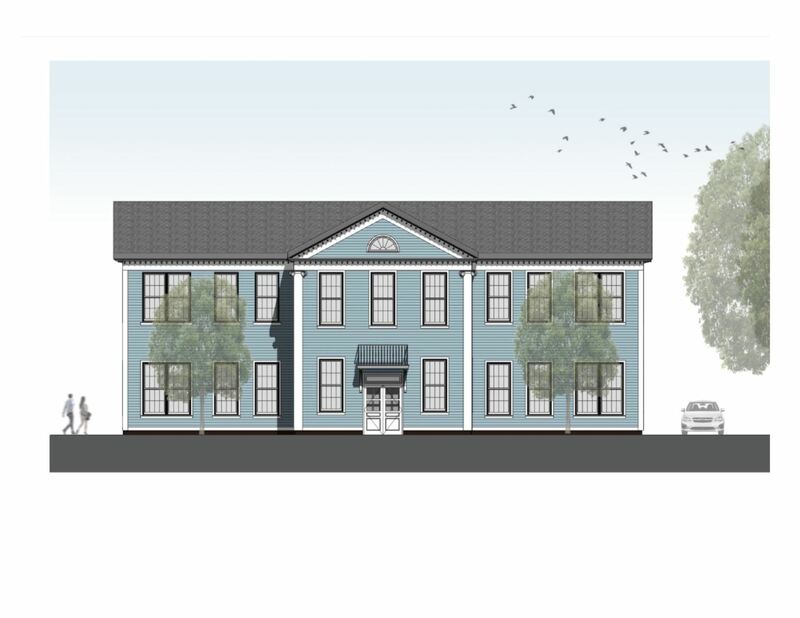 Rendering - North Main Street showing the historical re-build of the original 1892 Centre School. This doorway will be an emergency exit or ceremonial entrance. Rendering - featuring the more modern looking main entrance from the parking lot. Street and one way out to North Main Street. For detailed descriptions of each floor, go to "Project Overview". Generator - The current library serves the Sharon community as a "shelter in a storm" emergency warming center during power outages and other emergencies. 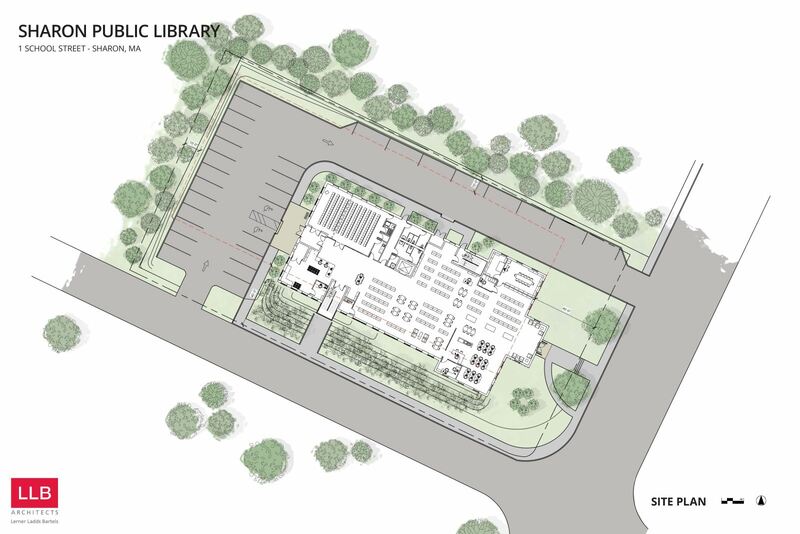 The proposed new library will be equiped with a generator so it can continue to serve Sharon residents. During an emergency patrons come to library to keep warm or cool depending upon the weather. Residents also use tel/data and computers to power their devices, contact their bank or insurance company and to reach family members during power outages. The following designs were created by Lerner Ladds and Bartels Architects. 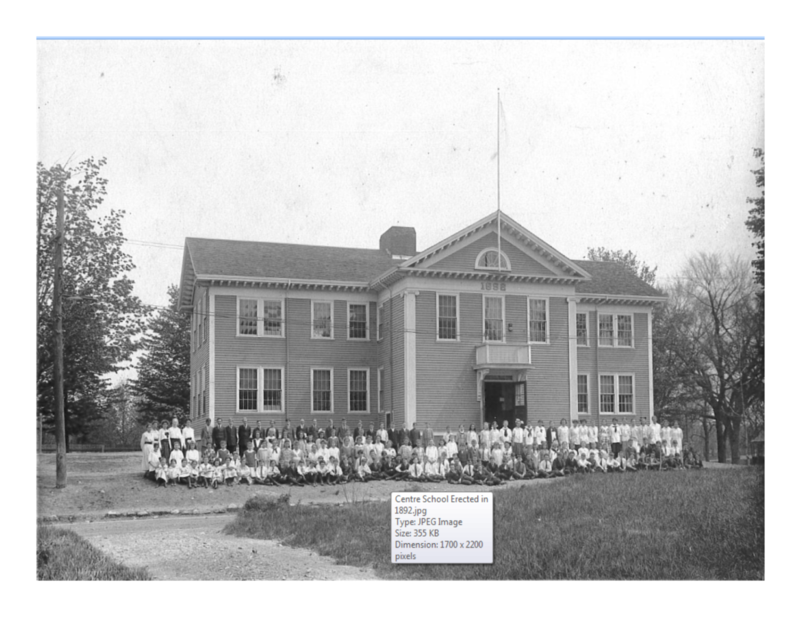 This is no longer an option due to the Sharon Historical Commission's vote not to approve the current library site for library expansion. According to the SHC, the proposed 3rd floor expansion overshadows the historical Carnegie library which could result in the loss of federal tax relief funds for historic properties.